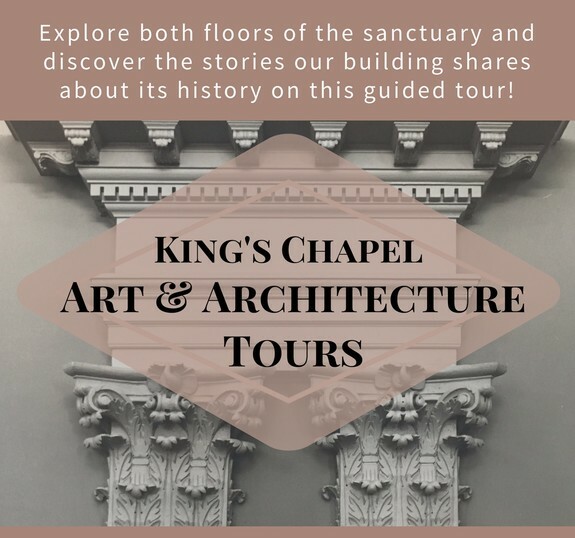 Explore the sanctuary of one of Boston's oldest churches from new perspectives, focusing on themes of continuity and change throughout King's Chapel's 332 year history! On this tour, guests explore both floors of the sanctuary to experience the stories the building itself can tell us about the church's history. ​From what we know about the first wooden chapel to why the church is no longer painted pink like it was 200 years ago, there is so much to learn about the architecture and material culture that construct how people experience the space today. Art & Architecture Tours are offered at 10:15 AM on Monday, Fridays, and Saturdays through March. Daily tours return in April.